"Roma is cinema at its purest and most human." Netflix has unveiled another new official trailer for Oscar-winning Mexican filmmaker Alfonso Cuarón's latest film, titled simply Roma. This B&W feature premiered at the Venice Film Festival won the top prize there, the Golden Lion. Roma is a story that chronicles a year in the life of a middle-class family in Mexico City in the early 1970s. Starring Yalitza Aparicio, Marina de Tavira, Diego Cortina Autrey, Carlos Peralta, Marco Graf, Daniela Demesa, Nancy García García, and Andy Cortés. This profound film is described as "an intimate, gut-wrenching and ultimately life-affirming portrait of the ways, small and large, one family maintains its balance in a time of personal, social and political strife." Reviews for been effusive, calling it another one of Cuaron's great masterpieces. The story focuses around the maid, a woman named Cleo who works for this big family. A must watch film. You can still watch the original teaser trailer for Cuaron's Roma here, to see the very first trailer again. A vivid portrayal of domestic strife and social hierarchy amidst political turmoil, Roma follows a young domestic worker Cleo (Yalitza Aparicio) from Mixteco heritage descent and her co-worker Adela (Nancy García García), also Mixteca, who work for a small family in the middle-class neighborhood of Roma. Mother of four, Sofia (Marina de Tavira), copes with the extended absence of her husband, Cleo faces her own devastating news that threatens to distract her from caring for Sofia’s children, whom she loves as her own. While trying to construct a new sense of love and solidarity in a context of a social hierarchy where class and race are perversely intertwined, Cleo and Sofia quietly wrestle with changes infiltrating the family home in a country facing confrontation between a government-backed militia and student demonstrators. 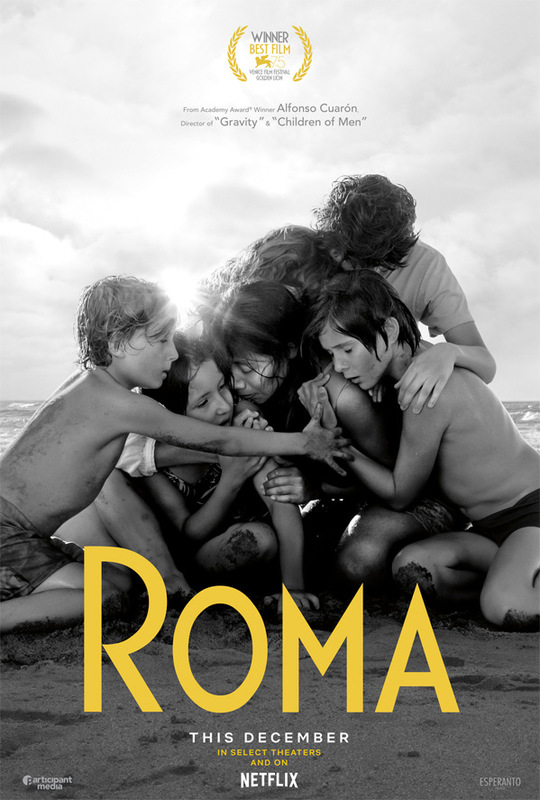 Roma is written and directed by Oscar-winning Mexican filmmaker Alfonso Cuarón, of the films Sólo con Tu Pareja, A Little Princess, Great Expectations, Y Tu Mamá También, Harry Potter and the Prisoner of Azkaban, Children of Men, and Gravity previously. It premiered at the Venice Film Festival, and won Golden Lion. Netflix will release Roma in select US theaters on November 21st before streaming.